There is always that one guy on the tennis court, someone who fights line calls in his favor. Pros started using electronic line calling back in 2004, yet club players and juniors have been stuck with fighting among themselves. Now, there’s a device they can purchase for roughly the same price as a new racket. 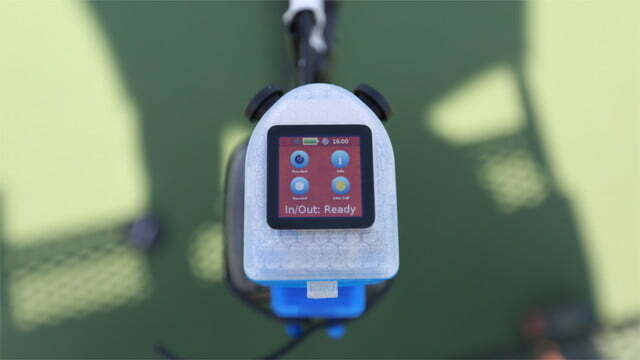 The In/Out is a small device that detects the lines of a tennis court to end line call discussions once and for all. It sits on top of a net post, and uses technology that’s similar to what keeps Teslas between the lines on the road. Designed by French inventor Grégoire Gentil, the device is the size of a small camera and can be set up in less than a minute. 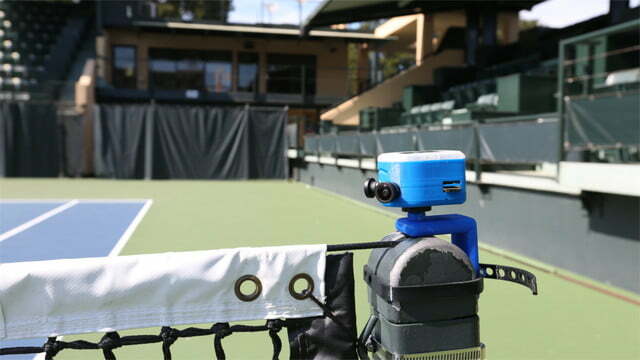 It uses two angled, high-definition cameras and artificial intelligence to track the tennis ball at all times. On top of line detection, In/Out records ball spin, speed, and movement with 99 percent accuracy. These stats can be downloaded to a smartphone or tablet along with the HD video through the companion app. Throughout a match, the In/Out produces light, a loud sound, or both for each line call. If it flashes green, that means the ball was in; red means the ball was out. 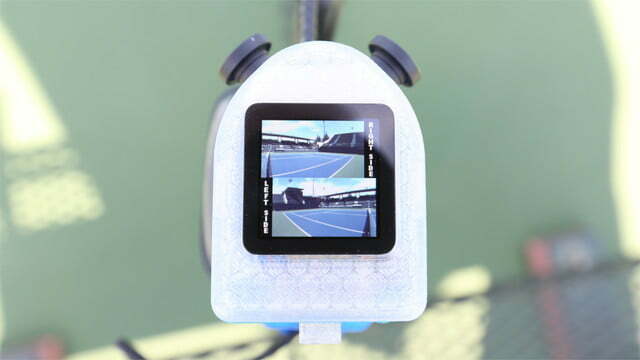 Tennis players can also check the device’s small screen or the app to see further details. 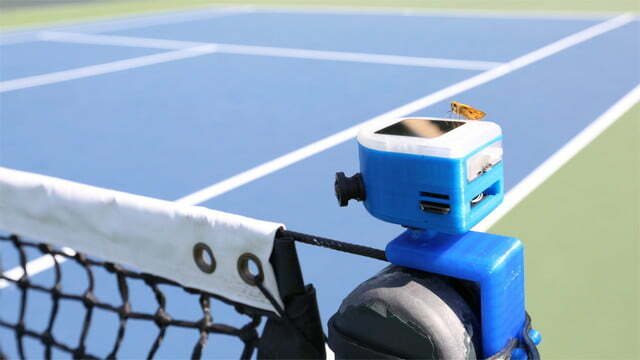 Hawk-Eye, the ball-tracking and challenge system used by professionals, costs around $60,000 per court. 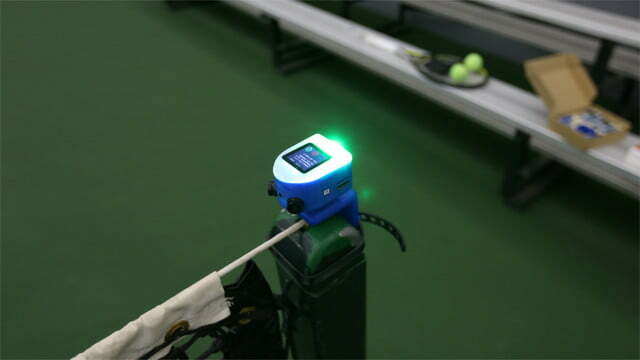 PlaySight’s SmartCourt system is more affordable by comparison, but it still costs up to $12,500, with an additional $500 per month for maintenance and cloud storage. These systems are mostly used by clubs and elite performance centers due to the expense. While professional systems are more precise, the In/Out still delivers a precision of two to three centimeters on average. With a price of just $199, it’s professional technology that most anyone can afford. Those interested can donate $25 to reserve a device from the first production batch. The first 250 donors receive a free 8GB micro SD card if they end up purchasing the In/Out. Shipments are scheduled to go out this summer.